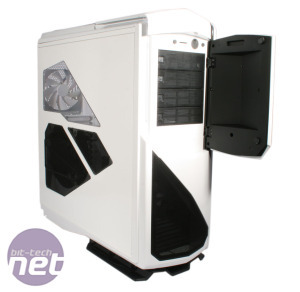 The last case we looked at from NZXT was the Switch 810. 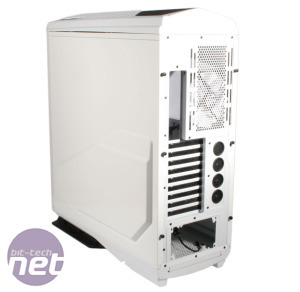 Whereas that case offered a compromise between water-cooling support and size in what NZXT refers to as a hybrid full tower case, the Phantom 820 makes no such trade off. The successor to the Phantom 410 is quite frankly beastly in size. 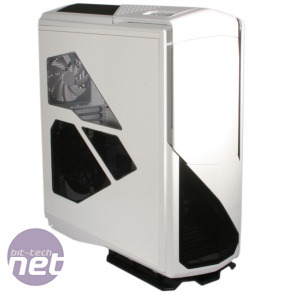 At 650mm tall, it's up there with the tallest of cases such as the Xigmatek Elysium or Silverstone TJ11. What that extra height offers over the Switch 810 and other stubbier cases is water-cooling support for even the most demanding multi-GPU systems. The 90mm of space in the roof can accommodate a full height triple radiator with fans (and there is even space for more fans above it in the roof panel). 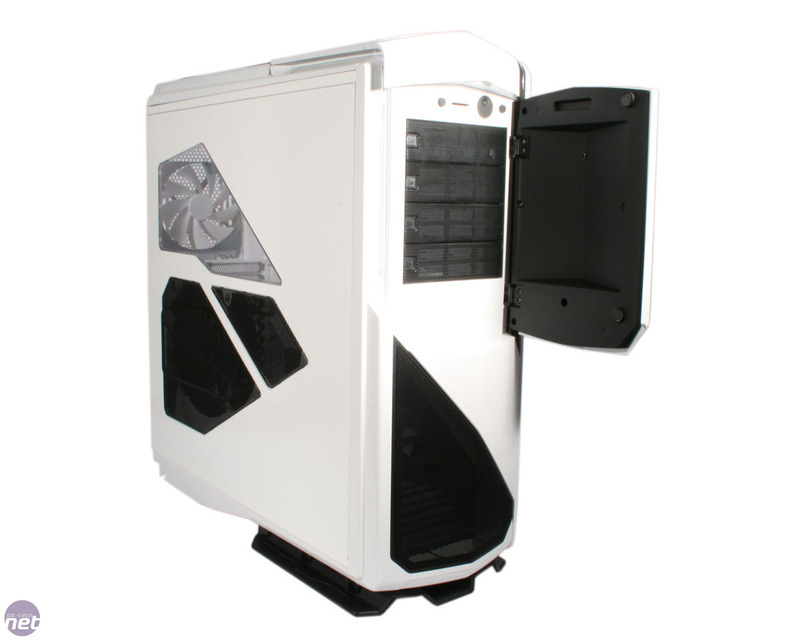 As well as this, a full height double radiator can be squeezed into the bottom of the case at the front. 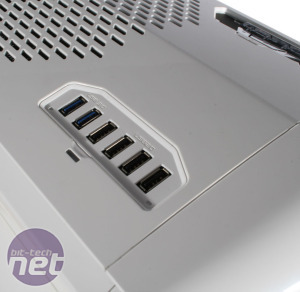 External water-cooling setups are also catered for thanks to the four holes on the rear. Though unashamedly aimed at water-coolers, the Phantom 820 is no slacker when it comes to air cooling either. 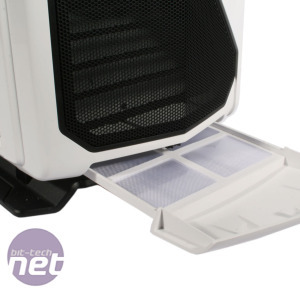 It packs four fans out of the box, but is capable of housing up to nine. We bemoaned the lack of fan control in the £150 Switch 810, but like its predecessor, the £200 Phantom 820 pleasingly offers multi-channel fan control. Each of the four 15W channels can be selected together or independently with the S button and switched between the off state and four speeds. The speed of each channel is represented by the brightness of its LED, which can make it hard to ascertain at a glance the current speed of the fans. 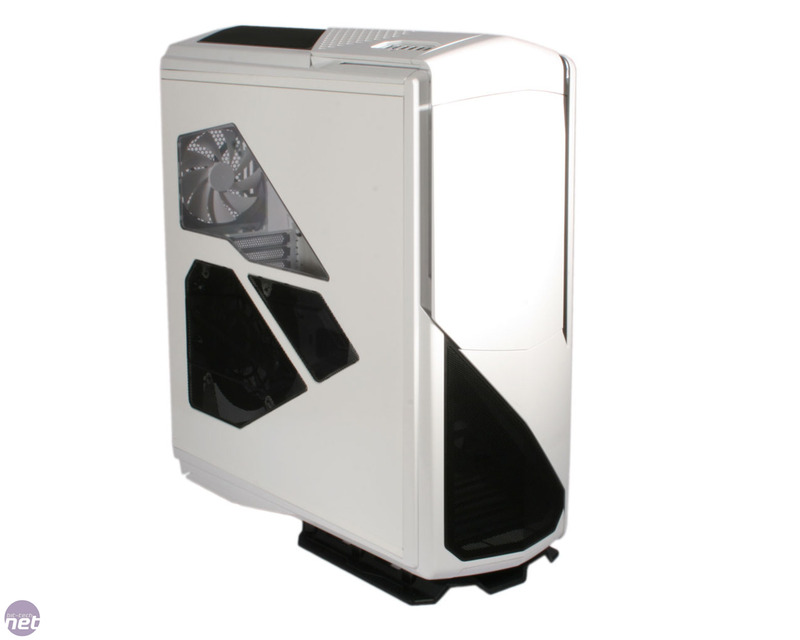 The case is a steel and plastic combo, with the chassis itself as well as the side panels formed from the painted steel, and white acrylic making up the front and roof panels, both of which are fully detachable. 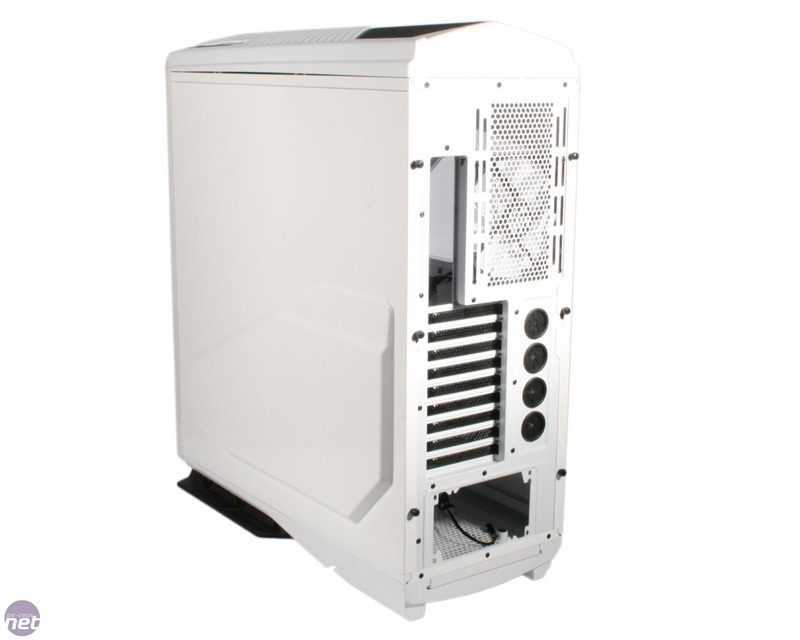 Thanks to the long rubber feet, the case is extremely sturdy and none of it flexes under pressure, indicating excellent build quality. Even the plastic panels are firmly attached, and don't rattle or creak like cheaper alternatives. The front of the case features a magnetic door covering the four 5.25-inch drive bays (no 3.5-inch adaptor is provided for these). It's easy to open but closes tightly enough to ensure it doesn't wobble or feel loose. The black steel mesh below the door covers a dust filter which can be clipped off the inside of the front panel, as well as the 200mm intake fan. Also behind the door you'll find the SD card reader, a handy addition we hope to see in other cases, as well as the LED control panel. The integrated HUE lighting can be set to whatever colour you want using the selection wheel. The internal and external lights can also be turned off, or set so that only one is lit up. There's also a white LED for lighting up the rear I/O panel with its own on/off button on the front, handy for night time visits to the back of your PC. 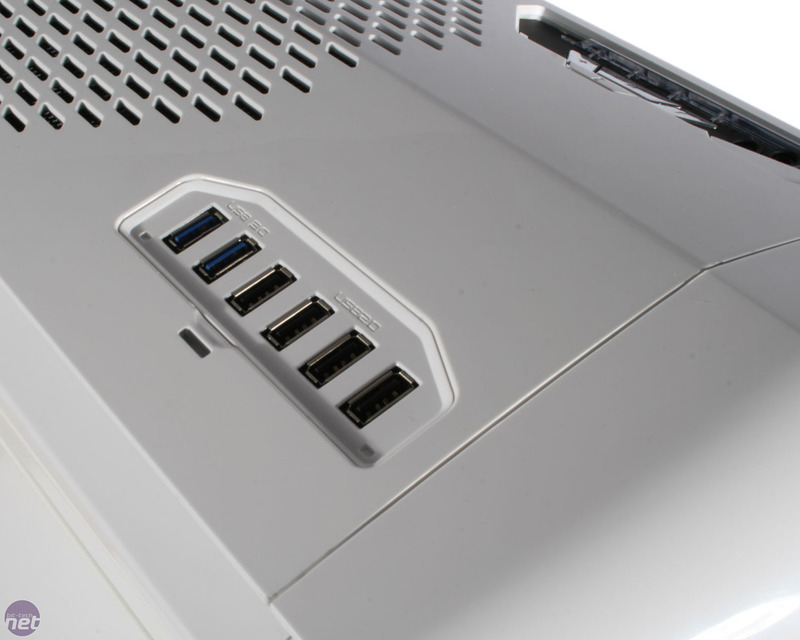 However, with the four USB 2 ports and two USB 3 connections (with internal header) on the top of the case, we can't see this being a regular necessity. Behind its meshed section, the left side panel features a 200mm fan with attached dust filter, as well as a window for showing off your kit. Moving to the back, there's nine expansion slots, enough for most setups, as well as the included 140mm exhaust fan. 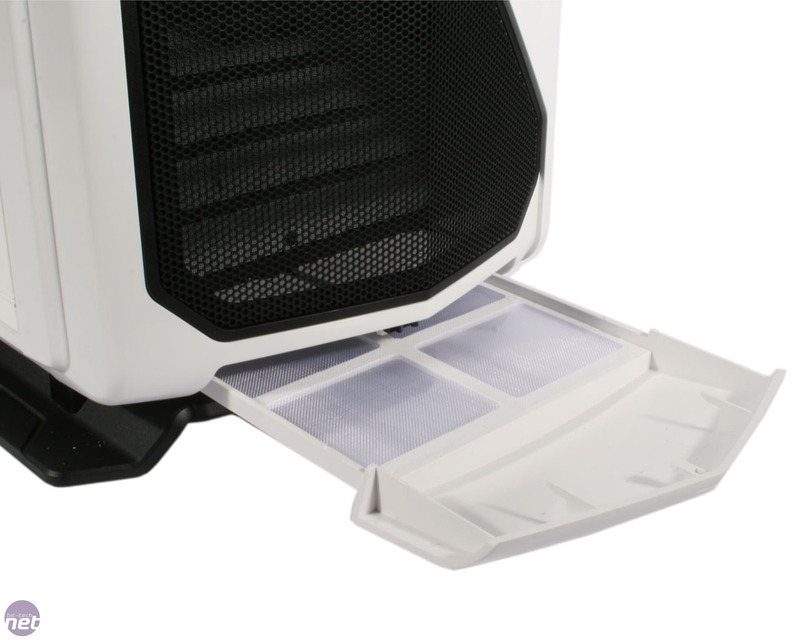 A neat feature of this fan is that it can be moved up and down in its mount, meaning you can perfectly align it with your CPU's tower cooler. 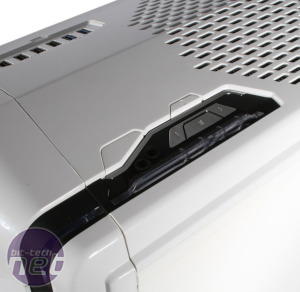 Along with the power and reset buttons, fan control, and I/O connections, the roof also has a meshed grille and some vents. The included 200mm exhaust fan has its own detachable dust filter, and there is one pre-attached to the empty 200mm mount too which could be mounted to a second fan if needed. 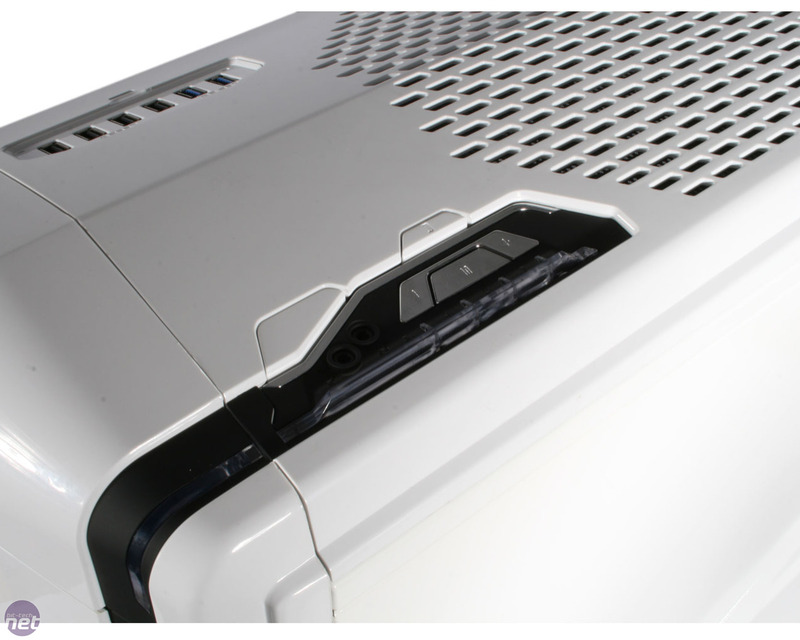 With the excellent pop out dust filters along the bottom (which cover the PSU and bottom intake fans) this means that every intake position as well as the roof is protected from dust, which is great news.